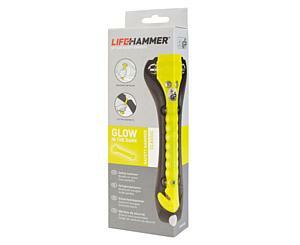 Shatter the car's side window easily using this safety hammer with double sided hammerhead. 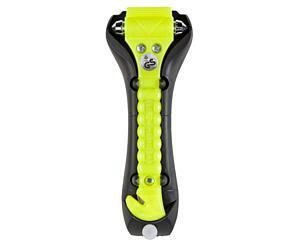 With the integrated seatbelt cutter you can easily cut any seatbelt. After shattering the first window you can repeat this action several times. 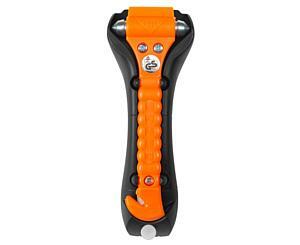 In an emergency situation we advise to cut your seatbelt first using the integrated seatbelt cutter. This safety hammer comes with a holder. With the two integrated pins you can mount this holder on the carpet of your car. Its also possible to mount this holder using screws. This safety hammer is TÜV certficated and crash tested. This product is designed to help you protect life. 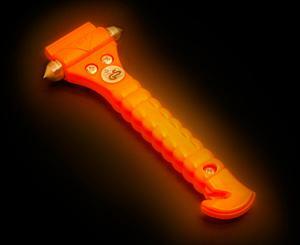 Before mounting this safety hammer in your car make sure all possible users are responsible and well instructed. 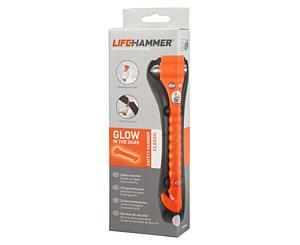 You can mount one safety hammer on the drivers side and one at the front passenger side. 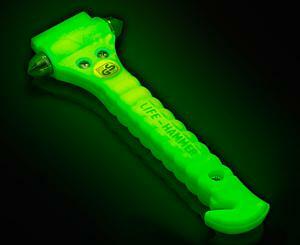 Only use this safety hammer to free yourself and others from emergency situations and never for other purposes.